Samsung is truly having a bad year, shortly after the infamous explosions of the Galaxy Note 7 that led to the recall of the device; Samsung is currently recalling 2.8 million of its top-loading washing machines due to various explosion reports by customers. The decision to recall the products came after reports that some Samsung 730 washer units had exploded, leading to nine injuries, the U.S. Product Safety Commission (CPSC) announced on Good Morning America Friday. "We’re talking about... a very serious hazard of the top of these washing machines completely blowing off," Elliot Kaye, chairman of the CPSC, said. "It is a lot of reports." He clarified that the tops of the affected units were not "secured enough based on a design failure." The recall affects 34 different Samsung top-loading models sold from March 2011 to November 2016. The full list of affected models can be found here. Samsung is offering consumers three options to help remedy the situation. The first? Free in-home repair of the machine, which includes reinforcement of the washer’s faulty top along with a free one-year extension of the manufacturer’s warranty. 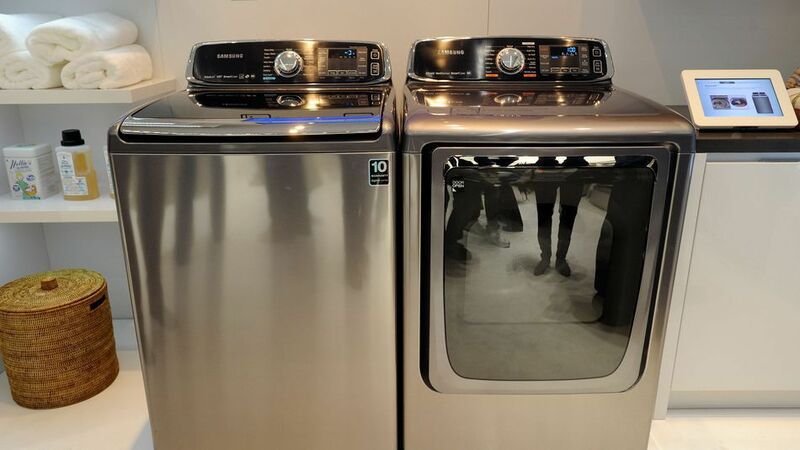 The company is also providing consumers with the option to receive a rebate applied toward the purchase of a new washing machine — whether it's a Samsung unit or not. This will include free installation of the new washer and removal of the old one. Finally, consumers can receive a full refund if they purchased their washing machine within the past 30 days of the recall announcement. 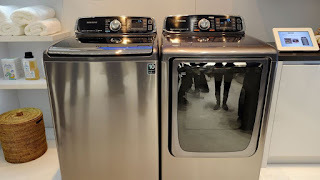 Back in September, the CPSC issued a warning to alert product owners of "safety issues" with some of Samsung's top-loadingwashing machines. "In rare cases, affected units may experience abnormal vibrations that could pose a risk of personal injury or property damage when washing bedding, bulky or water-resistant items," Samsung said in a statement at the time. The washing machine recalls follow a slew of reports of exploding batteries in Samsung's Note7 devices, which began in August. Faulty Note7 replacements were issued, and finally, after a long and failed attempt at rectifying the battery problem, Samsung shut down production.